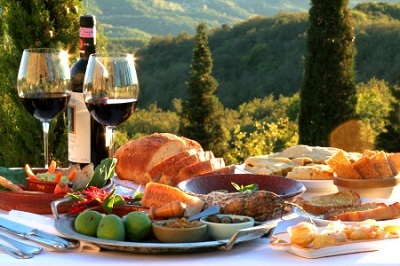 Are you looking forward to experiencing some Italian culture on your holiday to Italy? Want to know about Italian people and their lifestyle? Our guide to culture and lifestyle in Italy gives you interesting facts & information. As with any country it is very difficult to talk about the culture of Italy in definite terms, both because of the variety of people in Italy and the large subject that culture covers. However, some cursory observations and generalisations may be made regarding Italy and Italian people with the aim of helping others to get a better idea of life in Italy. Some observations about Italian culture and lifestyle are detailed below. Of course it is not possible to apply a definite mindset to the entire population of Italy; however, a few common traits do seem to be evident in many Italians. In general Italian people come across as having quite a relaxed attitude towards life and being self assured. Italian people are also known for being very expressive of their emotions and this shows both in their propensity for world renowned art as well as what can often be a short temper. Italy is a country with one of the richest histories in the world. Rome was the capital of a vast empire that spanned across Europe and North Africa for centuries and produced arts, sports, literature and democracy to name a few of Italy’s contributions to western culture. Visitors to Italy today who are eager for high culture will not be disappointed. Aside from the numerous examples of magnificent architecture and the dozens of museums, there are plenty of theatres and opera performances to attend. Like any country, Italy is made up of various social classes, and while the well to do in Italy may prefer spending their evenings at the opera, this is not the choice of the majority of Italians. Perhaps the single most important thing about which Italians are passionate, and could be construed as an expression of modern day popular culture in Italy, is football. Every major city in Italy has at least one major football club and supporting the local club is almost like a religion for many Italians. Culture in Italy varies a great deal depending on region. It should be remembered that, apart from roman times, Italy as a unified state is a relatively new concept and was for hundreds of years ruled as dozens of autonomous city states. Two remnants of the city state era in Italy are the Vatican and San Marino. It is understandable then, that regional culture is massively important in Italy and Italians often see very little in common with each others culture if they come from different regions. For example, in some areas in the north of Italy such as Alto Adige, people see themselves as culturally more German than Italian and speak German as a first language. The same is true with some French speaking areas in Italy. Broadly speaking, there has always been great difference between the cultures in the north and south of Italy. Italians from the north are generally wealthier and have a tendency to look down upon the culture of Italians from the south.